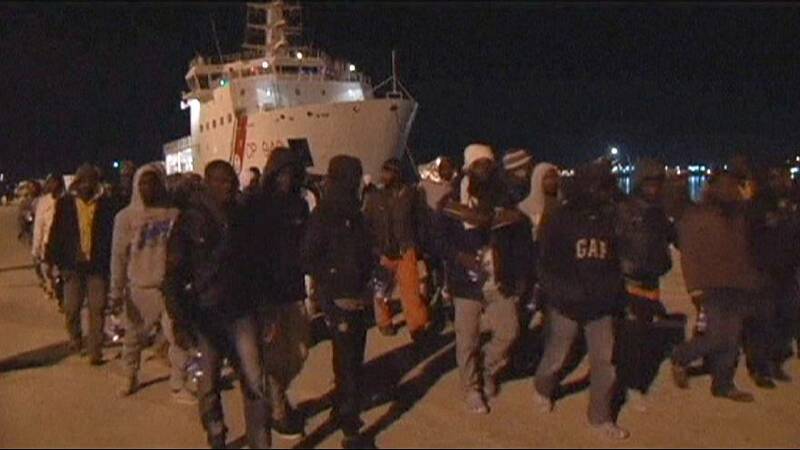 Hundreds of migrants were rescued by the Italian Coastguard on Wednesday about 80 kilometres off the Libyan coastline. At least ten people died in the attempted crossing, their bodies were offloaded in coffins as the ship reached the Sicilian port city of Augusta. Since Tuesday (March 3) seven different operations by Italy’s Coastguard, Navy and three cargo ships brought some 941 people to shore.